See the model, actress and enchantress in action as she chats about her love for Instagram to her childhood obsessions, why Justin Timberlake was the best *NSYNC member and her glam squad. This season is all about bold prints and summer colours so start storing away the blacks and whites and embracing a pop of colour. 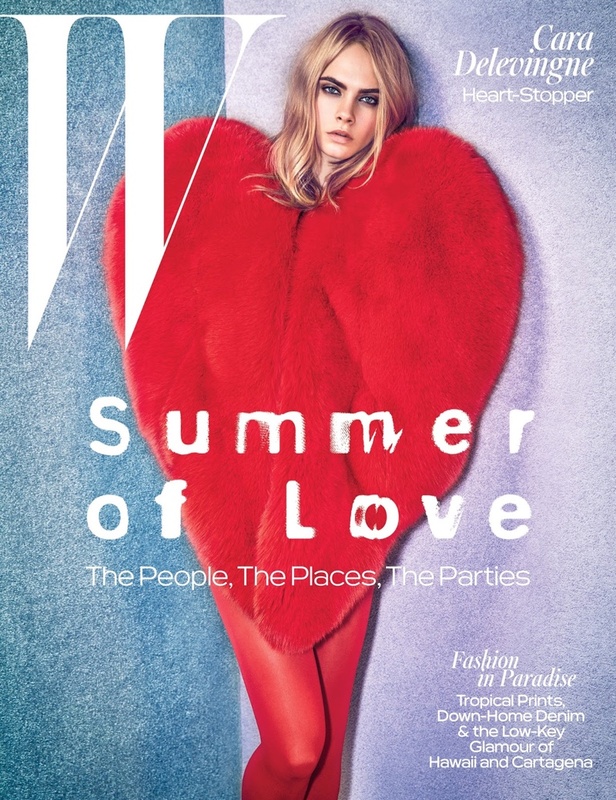 W Magazine features model-of-the-moment Cara Delevingne in a bright and playful wardrobe in W’s June/July cover story. The inspiration: Cara Delevingne in “Heart-Stopper,” photographed by Mario Sorrenti, styled by Edward Enninful. Cara wears looks styled by Edward Enninful from the fall collections of Prada, Balenciaga, Dior and more. From corsets to chunky platform heels to sweaters, the British beauty works each colorful ensemble. When she’s not on the runway or heating it up behind the lens you’ll find Cara cementing her status as leading actress with the sci-fi film adaptation of ‘Valerian and the City of Thousand Planets’ coming to theatres soon. The movie is directed by French director Luc Besson and includes over 2,400 F/X shots according to Entertainment Weekly. The story follows two space agents who travel through different planets. The first promotional image features Cara and Dane in space suits with armored details. Set to hit theaters in July 2017, ‘Valerian’ is also set to star pop super star Rihanna.